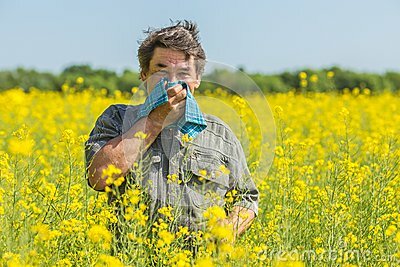 When spring is in full swing, allergy season isn't far behind. But what can patients do to help keep themselves allergy-free this season? Around 40 million Americans have seasonal allergies — also called hay fever and allergic rhinitis — according to the Asthma and Allergy Foundation of America. The itch and irritation of allergies can make you feel miserable. An allergy is characterized by an overreaction of your immune system to a foreign substance, or an allergen. Once you breathe that allergen into your lungs, it can trigger an immune response in your body. This is what causes the coughing, sneezing, itchy eyes, runny nose and scratchy throat that bothers so many. Estimates put the yearly cost of allergies to be nearly $14.5 billion. The indirect costs — missed work or school, lost productivity, etc. — account for an estimated $2.2 billion of the total. According to the American College of Allergy, Asthma, and Immunology, grass, pollen and mold are the most frequent triggers of seasonal allergies. In many areas of the US, spring allergies can last until early summer. So what can be done? You might be tempted to pack up and move, but allergens are everywhere, so that might not help. Over-the-counter and prescription medications can reduce your allergy symptoms. Experts suggest taking allergy medicine early to stop the symptoms before they start. For an in-depth look at seasonal allergies and ways to fight them, check out the dailyRx News feature video.